Enjoy a night of serious contemporary choreography paired with ragingly fun entertainment this weekend at Downstairs Cabaret Theatre Center (540 E. Main St.). 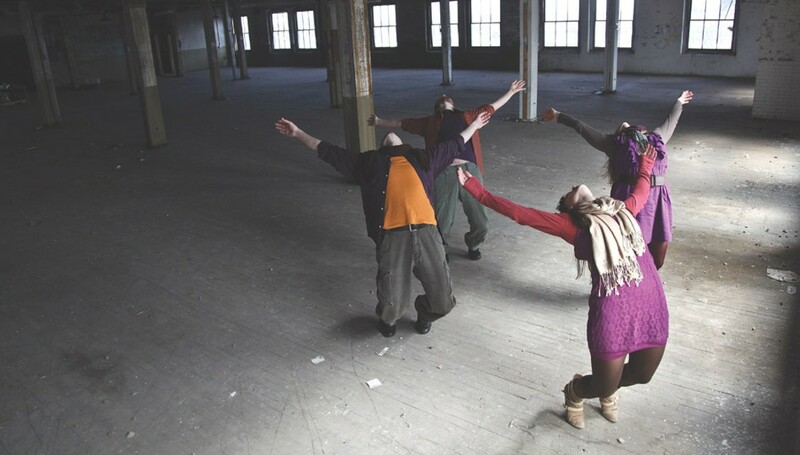 "Your Life is Not Your Own" strings a dozen short stories together with brawny text and features the five-member Geomantics Dance Theater ensemble. The troupe will be joined by nine guest dancers from the SUNY Brockport Department of Dance and dancers from School of the Arts, as well as the quirky characters Quentin Corks, Shuffling Bags, Joy Jump Lightness, Cutouts Lady, Newton Newsby, and Frank the Flasher, who promise to kinetically illuminate these much-too-serious times. The show will be accompanied by live singing by the Rochester Women's Community Chorus and original music by composer Eric Zabriskie. Performances take place Thursday-Friday, May 9-10, at 7:30 p.m., Saturday, May 11, at 3 & 7:30 p.m., and Sunday, May 12, at 3 p.m. Tickets are $20 general admission, with discounts available for seniors age 60+ and for full-time students. Get more information by call 325-4370 or visit downstairscabaret.com.